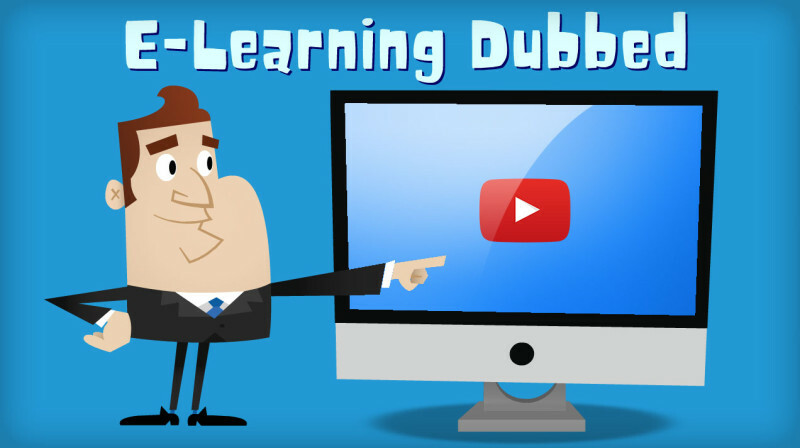 How to lower the dubbing costs of your E-Learning or corporate training videos? Dubbing is the most popular way of localisation (invented for video and TV programming), and is actually the most effective method. Anyone that doesn’t speak the original language (let’s say English), will enjoy more, and understand better, content that is spoken to him (or her) in his own language or dialect. Why? Simply because we were trained for that by school and by our local television. Language habits are hard to change at older age, and we usually stick to the language we learned at young age, for life. It’s not that learning an additional language doesn’t have a value by its own, but doing it while trying to learn something complex, like economics or finance, is twice as hard. Studies shown that content is consumed faster and is much easier to memorise and organise by the viewer’s brain, if it’s in the viewer’s native language. You don’t localise — And this is the default of most online videos. But then again, if it was important for you to create the video, and spend all that money on producing it, why not spend a little more on localising it? Further more, what will happen if your competitors will start localising their content? Localisation shouldn’t be a cumbersome, slow process, that requires several expensive professionals, and takes weeks to create. This is where our vision of VideoDubber came to life. By using our unique platform, 1 person (a translator) can do it all, in a professional quality. You still need to have subtitles in the target audience language (here’s a short guide that explains how to create .SRT files), and to QC what our dubbing engine says, but this continuously improves over time, as we integrate better voices, and in the upcoming future, Automatic Speech Recognition (ASR) technologies, and Translation Engines into our service, to automate the process from speech to speech. We even recently added a new automated subtitles generation module, that enables you to paste simple text and our machine does the timing, and creates an .SRT file automatically from that text. This module is still in Beta, but we believe that when it’ll be finished, it could save time, lower the users’ learning curve, and create a more natural result, especially for users that need to dub a simple presentation, or a short video, and do not know how to create SRT files. And what’s the costs of ‘Standard Dubbing’? Well, if you’re going ‘pro’, you’ll need to plan ahead and book a professional dubber for a ‘recording session’ in a recording studio a week ahead, a dubbed hour could cost you up-to $800 (and this is the average price after you got your content already transcribed and translated). So what’s the automated alternative? It will also mix it back on your video (lowering the background speaker’s voice where needed), and produce you a professional result ready for streaming. A short sample from a 160+ video training course for day traders (of Forex / Binary Options), dubbed to Russian. Besides Russian, this project was also auto-dubbed to Arabic, Chinese (Mandarin), German, Hungarian, Italian, Spanish (Castilian), and more to come (courtesy of SuperTrader.tv). For more samples, visit our Video Gallery. No problem. If you do not have subtitles for your video, our professional services team is here to prepare it for you. Simply pass the video to us, pay $20 per minute dubbed (Assuming the source is in English, otherwise the cost might vary depending on the source language), and get the professional result you wanted without the effort. Our team of linguists will do it all for you, including transcribing, translation, dubbing and full QC of the results. No problem. We’re here to answer any question you might have.